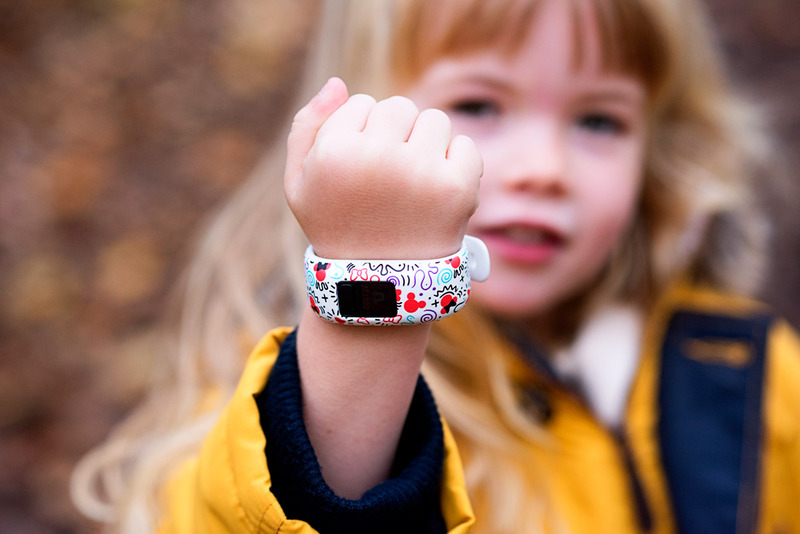 Garmin Vivofit Jr. 2- The best gadget for kids. 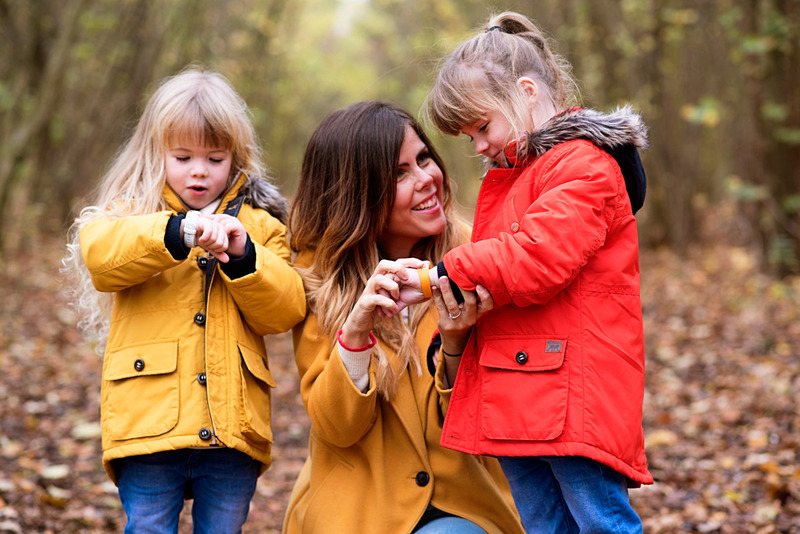 As a family getting out and about and keeping active is really important to us. We love getting out and about and doing things together. But at the same time we also thrive on routine and structure. 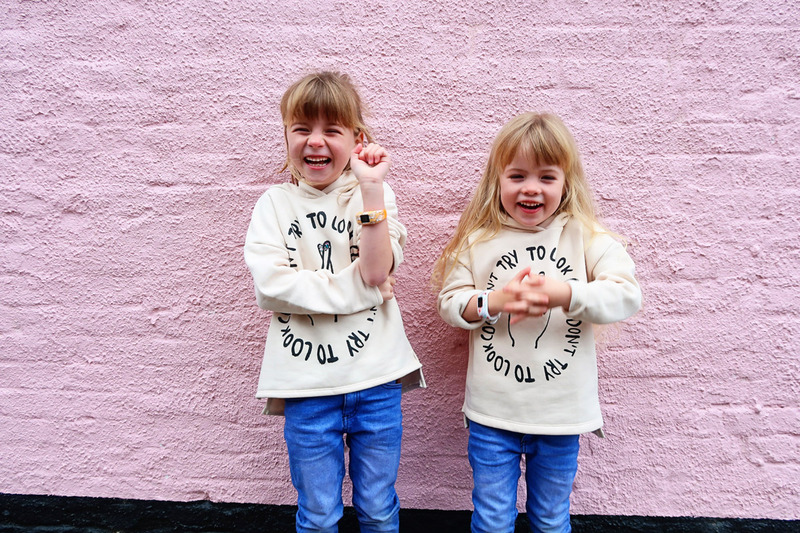 I think my girls are pretty typical when it comes to children of 6 and 4. They love getting outside, they love Disney, they love any type of gadget and they are pretty reluctant to do any jobs without being asked 10 times first. 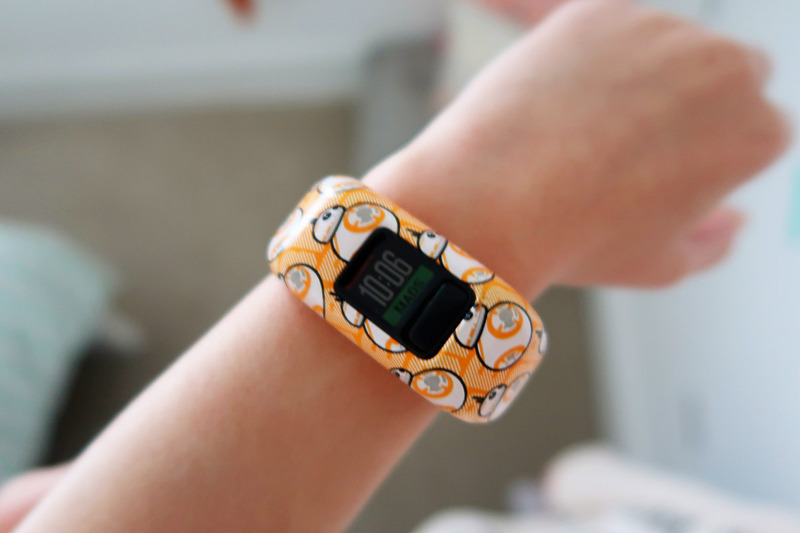 So when Garmin got in touch with me to ask if we wanted to try out their new Vivofit Jr. 2 which has been designed in collaboration with Disney, we pretty much jumped at the chance. If you don’t know what the Garmin Vivofit Jr 2 is, essentially it is an activity tracker for kids. 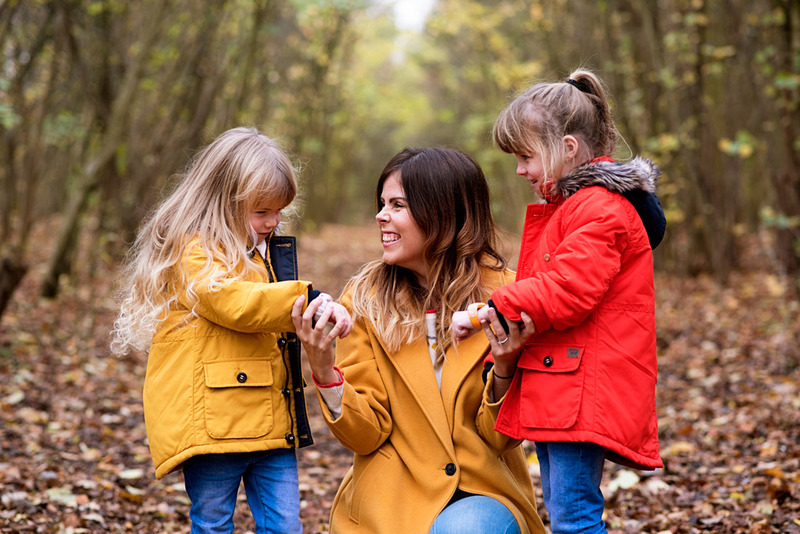 We all know how important it is to get our children up and active and the Garmin draws upon the success of its adult activity trackers and has produced an activity tracker with a difference for little ones. The new model is in collaboration with Disney and has a few different variants on design, including Star Wars, Minnie Mouse and Captain America. 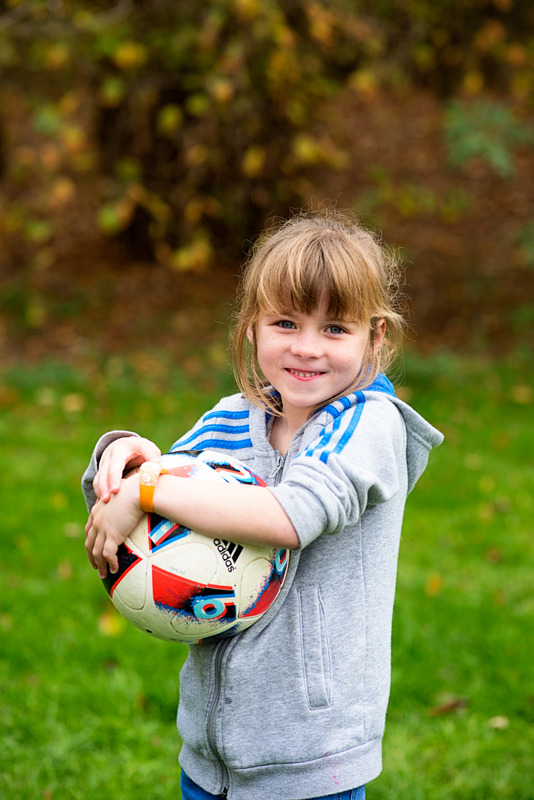 The adjustable bands are aimed at kids 6+, while the stretchy bands are aimed at kids 4-7 years old. 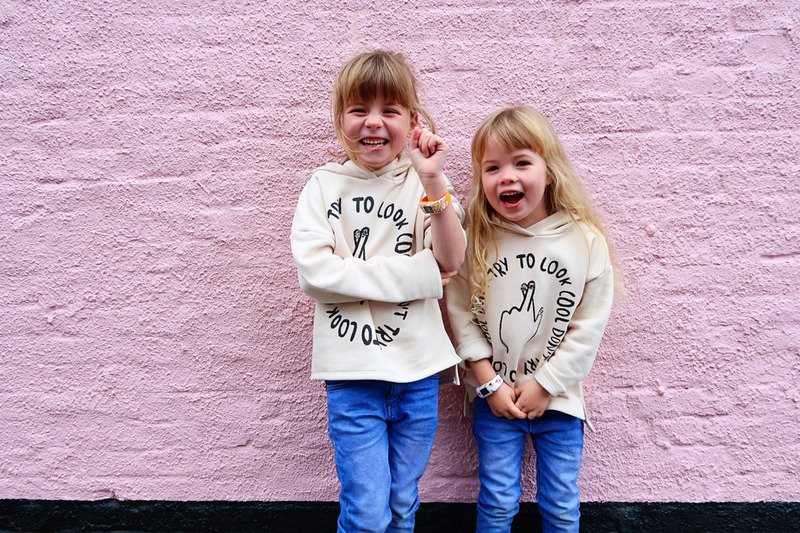 Weirdly we have it the other way round, Lottie has an adjustable band and Maddie has a stretchy one and both fit them just fine (Mads has loads of growing room in hers but she does have skinny wrists). The thing is though, this isn’t just an activity tracker, it is way more than that. The first and probably one of the most important things for me is YOU DON’T HAVE TO CHARGE IT UP. The trackers use a tiny watch type battery which you can replace after about 12 months. 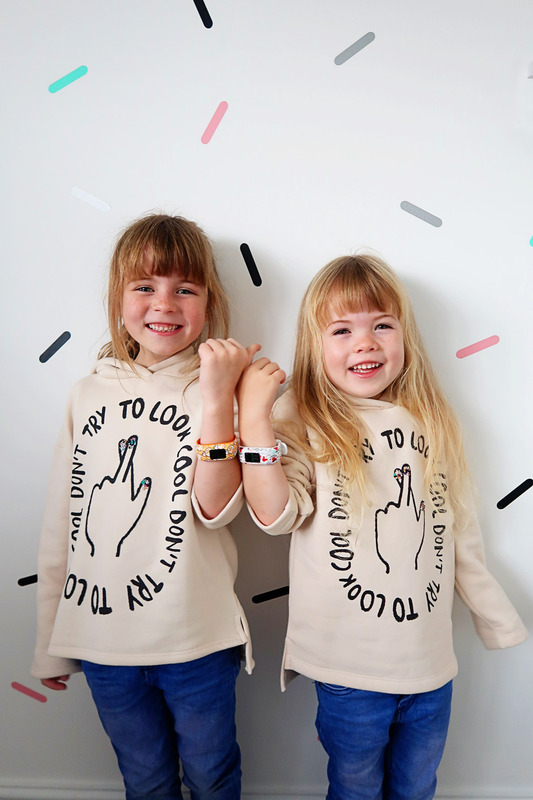 It sounds silly but this is a big deal, especially in our house as we have had toy watches before that you have to charge up and the children end up not bothering to wear them. The beauty of the Vivofit Jr is that you can wear it constantly, even in the bath if you want to. In fact our girls haven’t taken them off since we got them a couple of weeks ago. They also look great and are really easy for children to work with just one button and an engaging colour screen. These two were so incredibly excited to get them out the box and all set up. The first thing you need to do is download the kid friendly Vivofit jr. app (you can also sync your own Garmin products to this as well so you can compete in a family leaderboard. 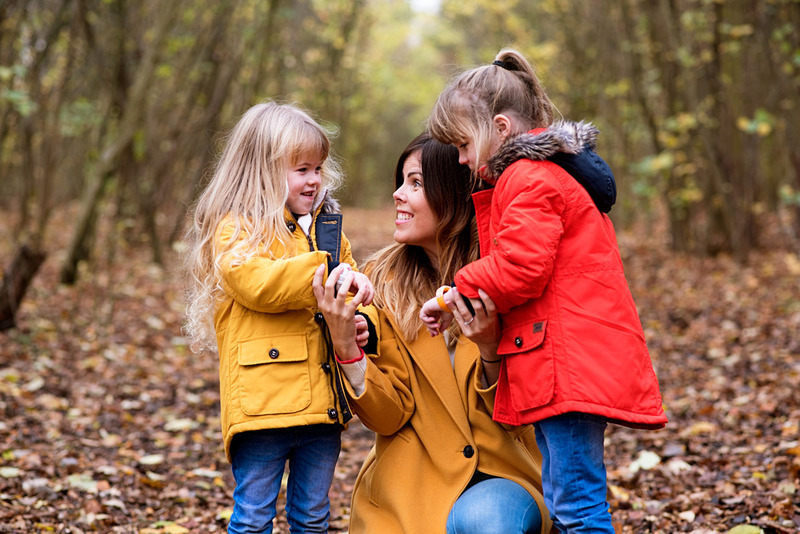 But what do these kid-friendly trackers actually do? I must admit to being a little skeptical at first as to how engaging and motivation they would be for the girls. But I couldn’t believe just how much these tiny little watches actually do. 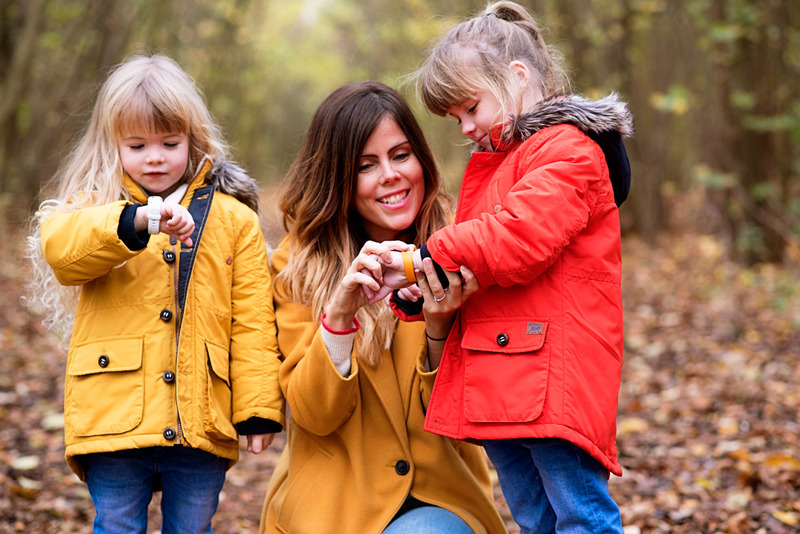 Essentially first and foremost they are an activity tracker, so they track your children’s steps and active minutes per day. 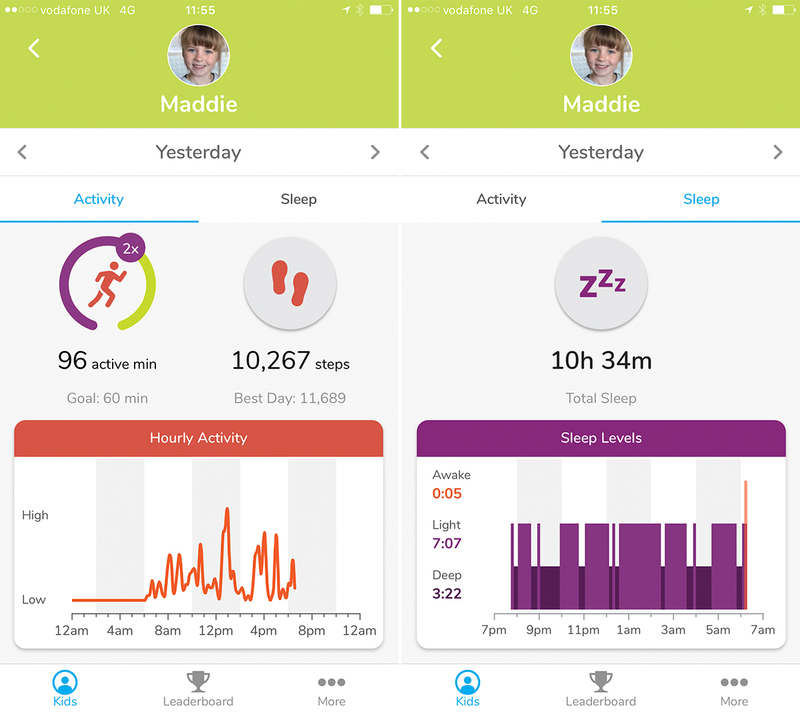 Ideally you want your children to be doing 60 minutes of activity a day (although most children will no doubt do more than this) and the beauty of the Disney trackers is that if you do complete your 60 minutes per day you get to move along in an adventure based in the app (Lottie’s is a Mickey adventure and Maddie’s is a BB8 one). As your little one gets more and more days worth of activity, they get to unlock step icons, badges and so on, as well as the all important move within the game. Of course the whole point of this is finding ways to keep your children engaged and motivated to keep active. It’s doing this on multiple levels, with varying incentives. And it really does work! My girls really do get motivated by things like this. You can also set up your Garmin watch within their app and it means that you can compete together in a family leader board. The girls really do love this, at the end of the day we always check to see who has got the most steps in that day and they take great delight in seeing that they have usually done more than me. It’s also got other great features, such as parents can even set challenges that the whole family can take part it. 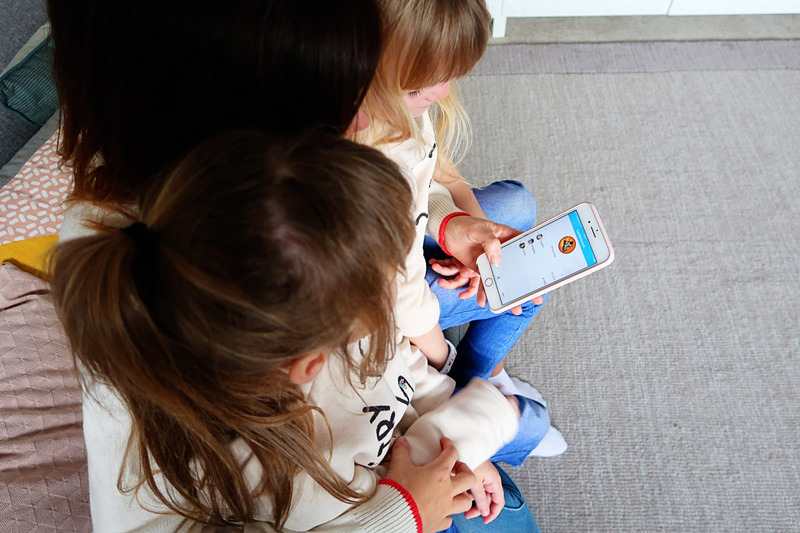 Children can do that too via their bands, setting up “Toe-to-Toe Challenges” that allow their bands to sync with friends who also have the Vivofit Jr. 2, keeping everyone in sync and competing against each other. The girls love this element of it too. They love going on walks and seeing how many steps they have done at the end of it. I wanted to screenshot a couple of the app screens so you get an idea of what they are like. The first picture on the left is of your child’s dashboard, you can fully customise it with their name and photo. From here you can go on to the adventure world part of the app, check their sleep and steps, or give them extra coins or rewards. On the right is the family leaderboard (we hadn’t put Jon on here at this point). The girls really love being able to compete with each other (and us) to see who has done the most steps that day. This one shows how long they have been active for and how many steps they have done. It also shows their hourly activity which is really interesting when they are at school, you can definitely tell when lunch time is and they are running about. It also shows their best day so they can compete with themselves to beat their best day. It also shows their sleep which I do think take with a pinch of salt, but it is still interesting to see. I think Garmin of course market the steps and activity tracker portion of the band as being the most important, but there is a huge other part to the app and this is actually the part I love the most. This isn’t just an activity tracker, you can also track chores and set rewards. Let me explain. 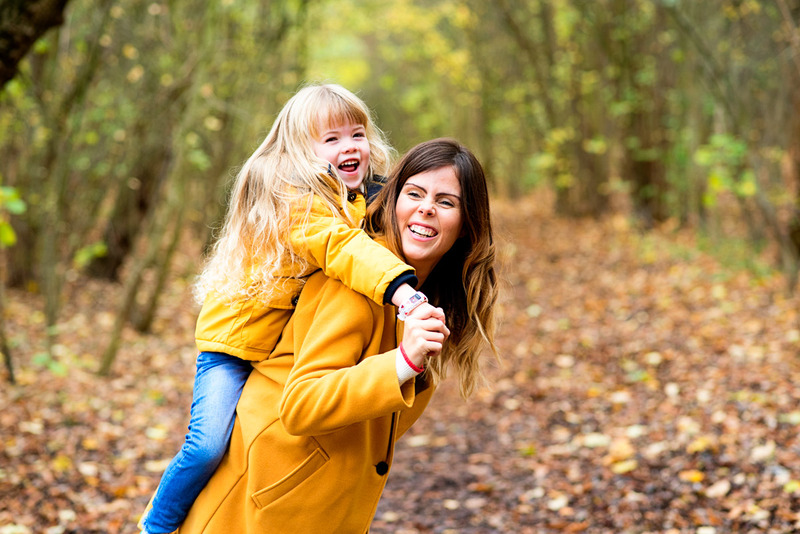 As a parent you can specify chores that needed to be completed, whether that is daily, weekly or just ad hoc. You can set how many ‘coins’ completing the chore is worth. You can also set reminders so the bands will ring and vibrate and remind them of what needs doing. 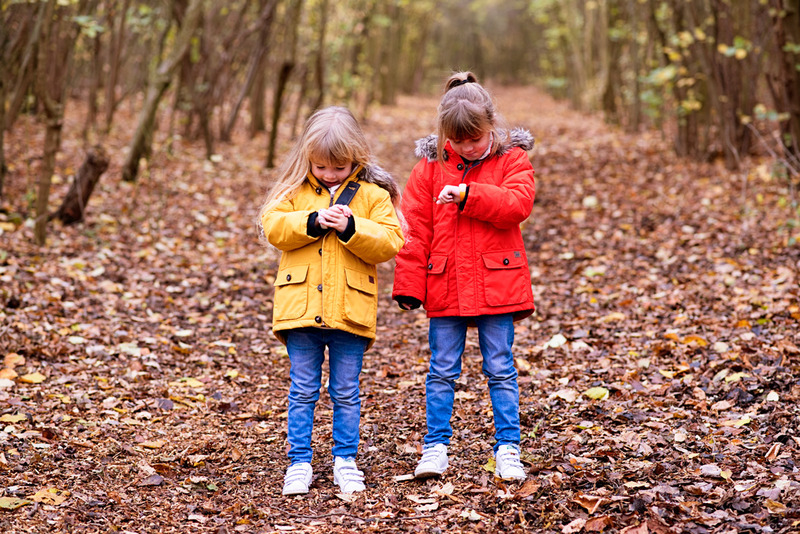 Once they have completed the task you can then manually give them a coin via the app, but it will go off on the watch which makes my girls so excited each time. 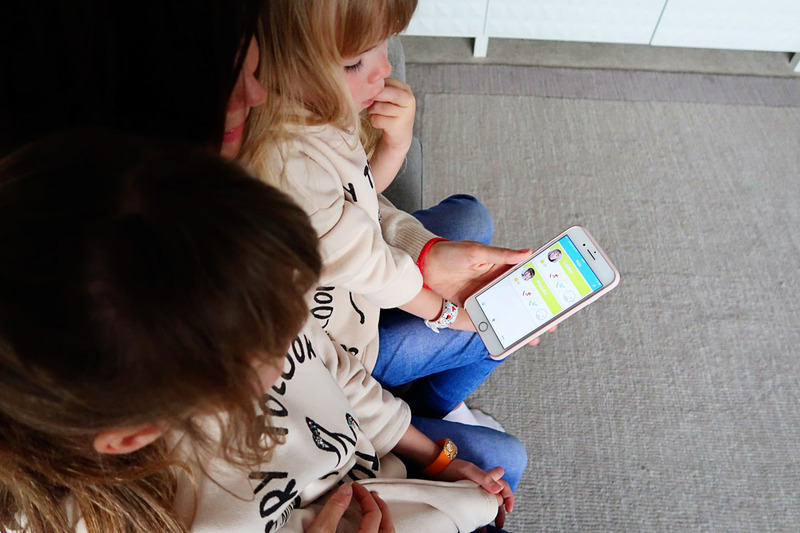 My girls of course are only 6 and 4 so we don’t tend to give them serious hard labour 😉 but the app is great for setting tasks that I find frustrating to get them to do on a daily basis. 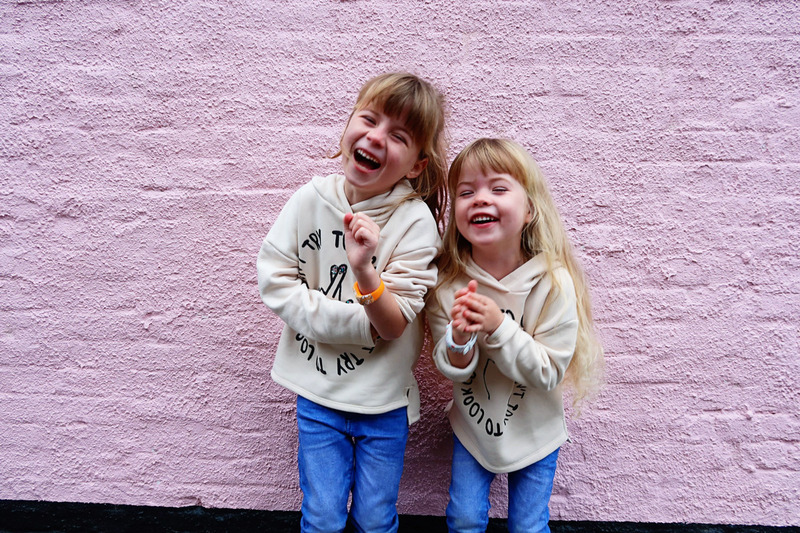 We have theirs set up so they have 8 ‘chores’ a day, they are brushing their teeth in the morning and evening, getting dressed in the morning, putting their pj’s on in the evening, making their beds in the morning and tidying their playroom. 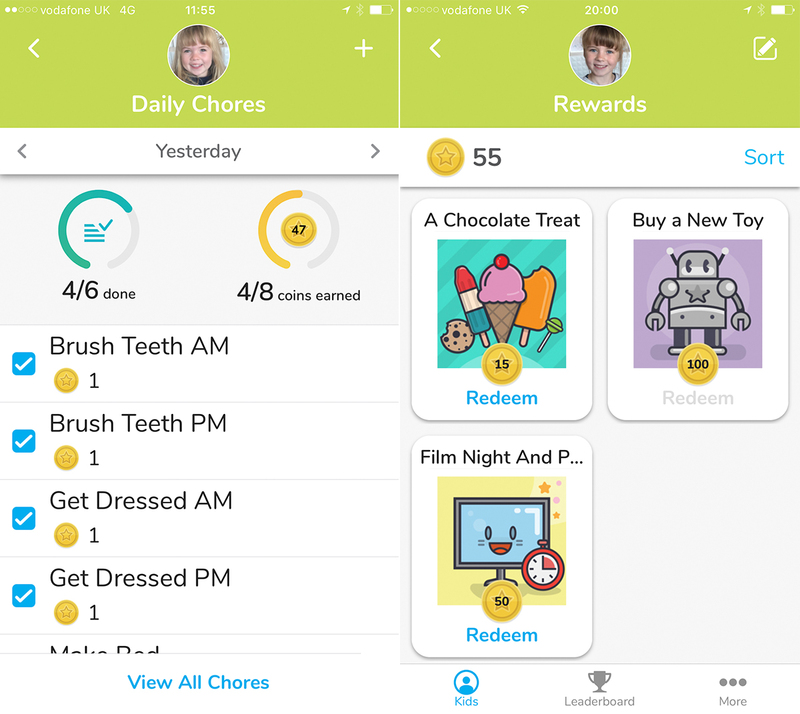 Doing each of these will earn them one virtual coin bar tidying the playroom will earn them two. Like I mentioned above, once they have done these I can give them a coin via the app. One other really cute and handy feature is you can set rewards. All done via you and the app (you can choose Garmin’s preselected ones or make up your own), you can specify that a certain amount of coins will get them a reward and they can redeem their coins or save towards a higher reward. For example on ours if you get 15 coins you get a little chocolate treat, 50 gets them a film night and popcorn on the sofa and 100 gets them a little toy. I think this personally is a massively fantastic feature. My girls really thrive on these reward based systems where they can see how well they are doing, I guess it is like the reward chart of the future. I can honestly say I have already seen a remarkable difference in their motivation to get dressed without me shouting them 10 times in the morning and also their motivation to make their beds etc. They really love the reward part of it and the app makes it so easy to see how well they are doing and how many coins they will need to get their reward. We don’t tend to use the reminder feature as we do these things at different times each day. But one thing we do use a lot is the timer portion of the band. You can set a timer for anything and Garmin again has some preselected ones with some cute little icons. Every morning and evening the girls set the two minute timer to brush their teeth- this one is really great as I often used to say to them that I swear they hadn’t brushed them for long enough. Again it is just little things that help motivate them more and making these ever day activities fun. 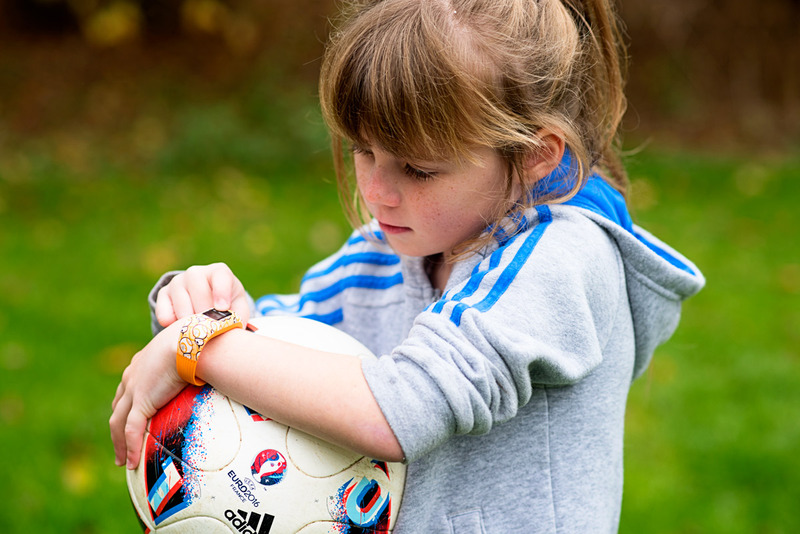 It’s been really interesting for the girls to see what the every day activities that they do, like football, give them in terms of steps. I think it really encourages them to be active and a few times Mads has gone out in the garden to either beat mine or Jon’s steps, or to edge her over her 60 minute activity goal. Overall I am so impressed with the Garmin Vivofit Jr. 2. Firstly we love it because it is in collaboration with Disney and anyone who reads this blog will know that we are huge Disney fans. But secondly it is because the Vivofit Jr. is such a great thing for children. I often wonder if these things can sometimes be a bit of a five minute wonder but we have had them nearly a month now and they show no signs of being fed up of them. It has just become an every day part of our routine and the girls are still really motivated by them. 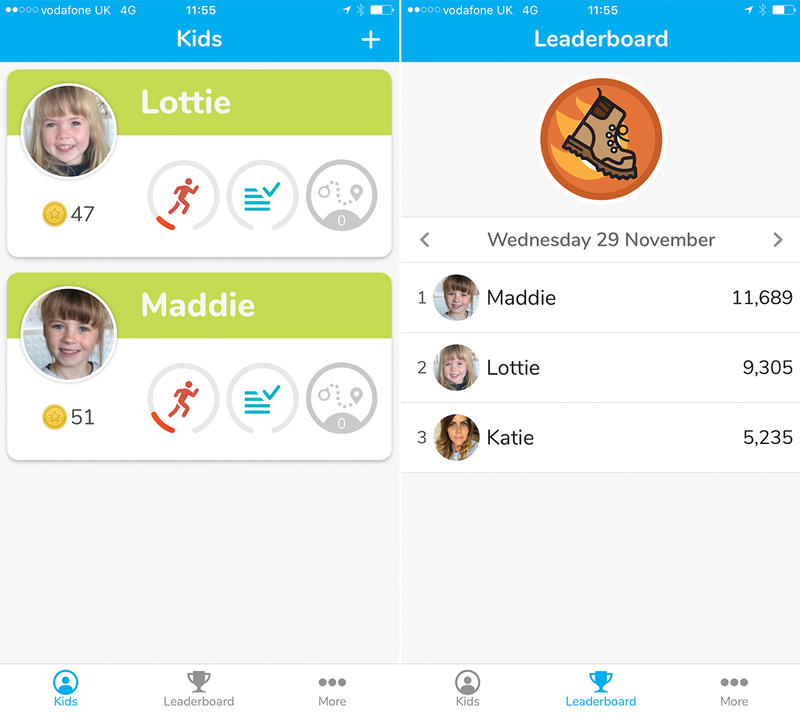 Garmin really have thought of everything to help make them a really motivating thing for children, with the unlocking the adventure part, the leaderboard and challenges part and the rewards and virtual coins being a huge part of this. I would massively recommend these to anyone looking for a present for their children, especially if they love gadgets, Disney or if your child thrives on reward style things. I honestly couldn’t fault a single thing about them. They cost approx £69.99 online so are more likely to be a christmas or birthday present, or a very special treat, but they are 100% worth the price in my opinion. Like I said at the start, I love the fact you don’t have to charge them as this makes a huge difference and saves so much time. NB: Thanks to Garmin for sending us the bands for the girls and for working with us on this post. All words and opinions are entirely my own and I hugely recommend these (and I don’t often say that with such conviction!). My children (5 and 3 yrs old) would love this, I think it is a fab way to get them out and about moving around. 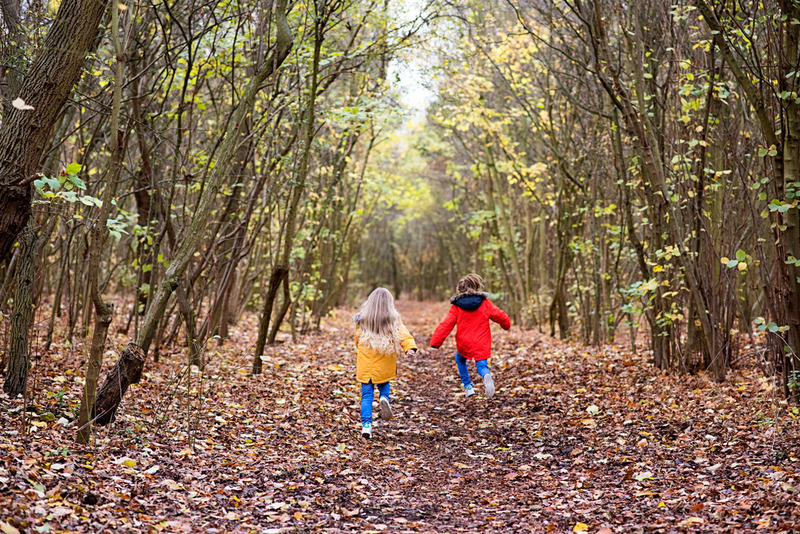 Both of my children love being outdoors and the fresh air does wonders. Did you find the answer? We have a similar requirement for drinking water and this info would seal the deal also. The article above says it vibrates yet speaking with Garmin they say they have no info on it vibrating, but that was just an online chat and I think they just read the web page….. so any info on this would be great.